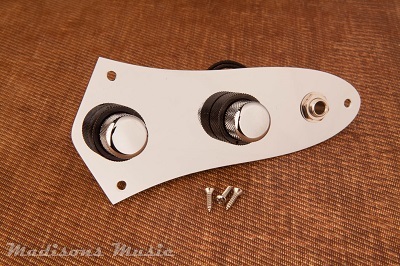 Madison's NOS -NEW- pre wired Jazz bass control plate. 60's reproduction SK .02 Capacitor. Wired standard vol/vol/tone with CTS 250K potentiometers and switchcraft input jack. Knobs have slotted vintage correct screws.